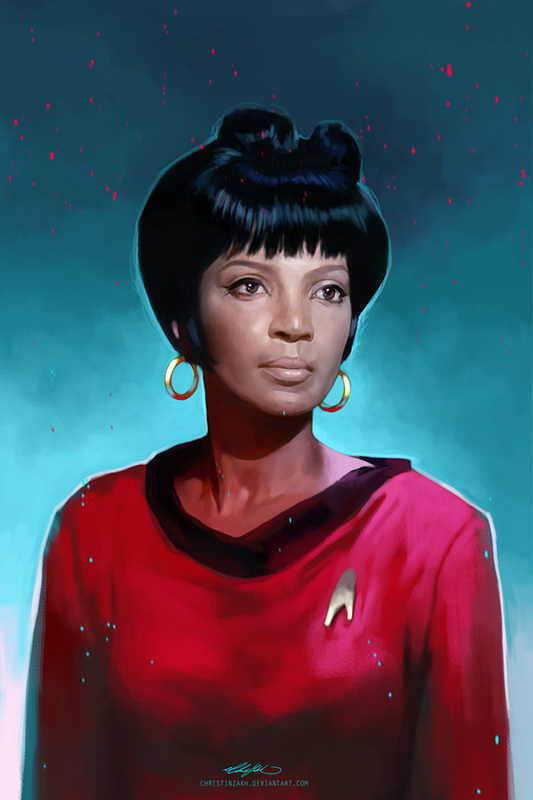 Here’s a gorgeous study of our gal Uhura by Canadian artist Christina Zakhozhay. She really captured the character’s soul here 🙂 Enjoy. This entry was posted in Fan Art Fridays (FArFri) and tagged Christina Zakhozhay, Nichelle Nichols, Uhura. Bookmark the permalink. Uhura is a fantastic actress, and in Star Trek she did a lot of good for dark women, in fact for all women of the world, she also has a nice voice when she sings. And is a very beautiful looking women. She also did a lot of work to get women into NASA. Nichelle is a wonderful actress, singer and activist! May she live long and prosper!